Contact Us For Auto Transmission Repairs! Since 1979, Riverside Complete Auto Repair has been your local source for repairs and maintenance to your vehicle. Trust us for all of your auto repair, maintenance, and tune up needs. You'll get great service without the high prices that dealer shops charge. Protect your investment in your vehicle! 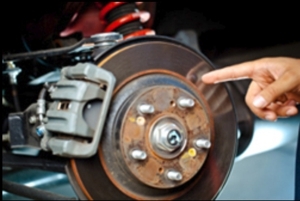 Choose the auto repair experts and get superior care for your car. Let us put our more than 39 years of experience to work for you and your vehicle. You'll get honest work and fair prices when you rely on Riverside Complete Auto Repair. Stop by and see what a difference honest car service can make. Feel free to contact (951) 324-4434 about our variety of repair and maintenance services as well as information about our specials!